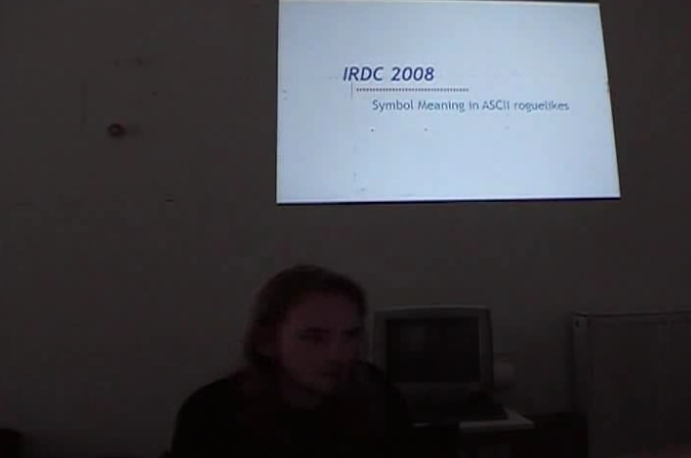 And so it was that several roguedevs met at the historical city of Berlin for the first IRDC on September 2008. There were not many, but it is quality which matters, and we are looking forward for future events. Ido Yehieli: Description of facing-based field of view, hearing radii, and their impact on UI and gameplay. Jeff Lait: Survey of different methods of discretization and its gameplay implications. Radomir: Introduction to Python as an effective roguelike platform with examples from Z-Day. Have fun watching the videos! I always imagined roguelikers getting together would be more like a knitting group than an academic conference. About gossip I don’t know, but I was only there at Saturday. I liked the “academic conference” feeling, because it made us think deeper about many aspects of roguelikes. The concept of talks and discussions worked very well — and it felt very important 😉 The talks of the others helped me in my current development, and my talk and the discussion about it helped me also in my non-roguelike scientific progress. 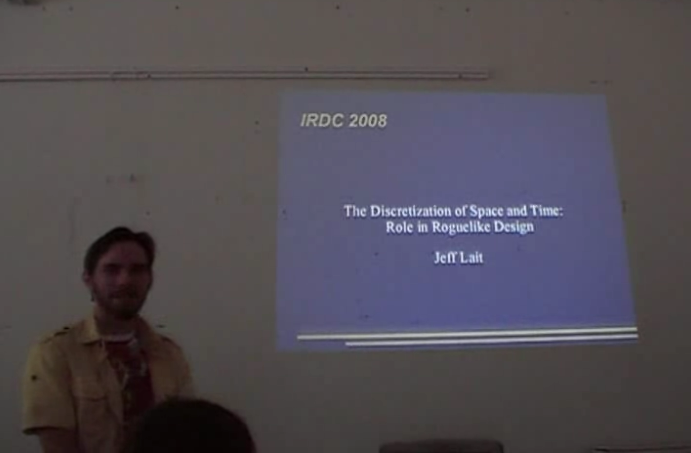 So if we repeat IRDC in 2009, we should have presentations again. The great thing was that everybody had some good thoughts, and that it was recognizable that the people there have a passion for rogulikes — from different perspectives, but all respectable. My presentation was actually about stealth, facing and hearing range are just ways to implement it. Anyway, soon the edited videos as well as videos of the 2nd days will be made available.